Still having fun with your favorite mobile game…!! 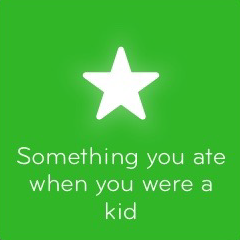 😉 If you need help in the level “Something you ate when you were a kid 94” of the game 94%, don’t worry!, here you are all the answers Something you ate when you were a kid 94. These are the answers Something you ate when you were a kid 94.